Rotate the screen back to landscape and portrait again and there you have it, a nice menu with big icons. It is still possible to hack the firmware of S60v3 phones, although a slightly different method is now required. Be warned that this will invalidate your warranty and i take no responsibility for any damage or cost that hacking your phone incurs. For those who are not aware of what the benefits of hacking your phone are, it essentially allows you to access/delete/modify and of the system files (i.e. c:\sys, c:\private etc.). By hacking your phone you can install any software you wish even if it is not Symbian signed. This is a security risk if you do not know what you are installing but allows you much better use of your phone. Rather than describing the whole method i will just link to the page i used to hack my phone. It is a relatively quick and simple method, a complete walk through guide is on the site. A relatively simple way is to install RomPatcher. This allows you to modify a variety of features on your phone including removing items from the standby screen and removing the camera capture sound. At the moment it is not possible to remove the “Search Online” item but it may be possible in the future. One downside to this method is that you have to disable and then re-enable the standby screen to get it to work each time you turn on your phone. A method which can remove the “Search Online” item is using a modified “SoActiveIdle.dll” file. I haven’t tested this on my phone but it is reported to work ok. I did attempt it before posting on his site but i have not attempted his fix after he updated it. Please post and let me know if it works or not if you attempt this way. This is the method that worked for me, and i also removed the Search item (which annoyingly in v30 takes up 2 lines of the standby screen). This method involves editing a hex file to remove the items you don’t want on the standby screen. It does involve slightly more work but is a permanent fix which ‘sticks’ over a reboot. I used the xvi32 hex editor to modify the file, it can be found here. 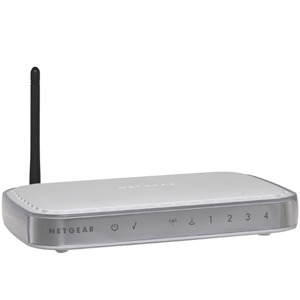 I recently was given a sky router by a friend, which actually turned out to be a Netgear DG834GT but with sky’s own firmware on it (probably just a tweaked version of the netgear firmware but with some aspects disabled). I decided to try and remove the sky firmware and reinstall the original sky firmware. I discovered a good guide on how to do this on the skyuser forum, this is the post i used. I’ve spent the last few days trying to recover the router, as the recovery tool you have to use causes Vista to Bluescreen! I initally thought i’d bricked the router but as i spent more time researching i discovered that it could still be saved! So this post is basically to provide more advice to people wanting to re-flash their router, mainly highlighting a couple of things missing from the guide in the skyusers post above. DO NOT USE VISTA! The Netgear recovery tool does not work properly on Vista, and every time i tried it caused my computer to bluescreen. Make sure you only have one firmware file in the directory. This is the problem i had and until someone mentioned this on another site i had two firmware files in that directory. As soon as i took one out it worked. Just for reference, when both files were there the recovery tool didn’t see the device. I tried several computers but no luck. I went back to the original XP machine i used and made sure i had just one firmware file and it worked stratight away. Without the post on the skyuser forum i would not have managed to recover my router, so a lot of thanks goes to all the users there. I hope this post helps anyone else in the same situation, please post if this is of use to you.